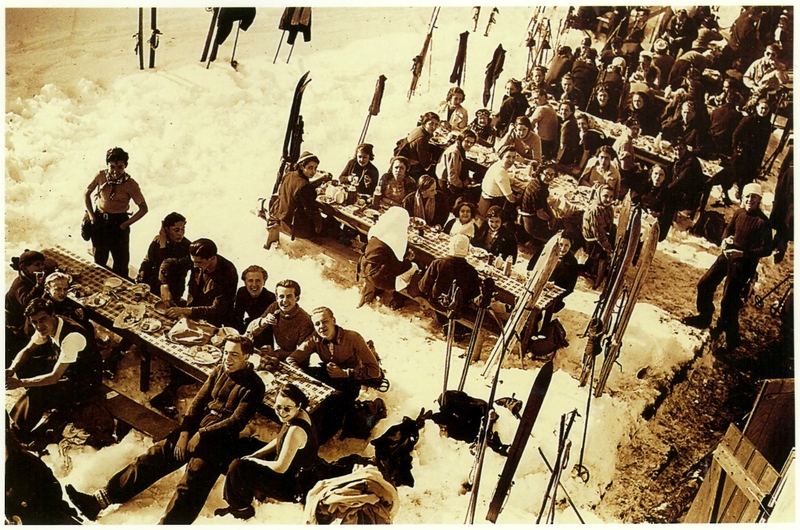 In Morzine a few weeks ago I was browsing postcards, as I tend to do wherever I go, and I found these two vintage photos of how skiing used to be! My family have told me all about the terrible cable bindings they had to use until the late 1960s, which caused broken ankles left right and centre, before step-in bindings were invented (which is what we currently use now). 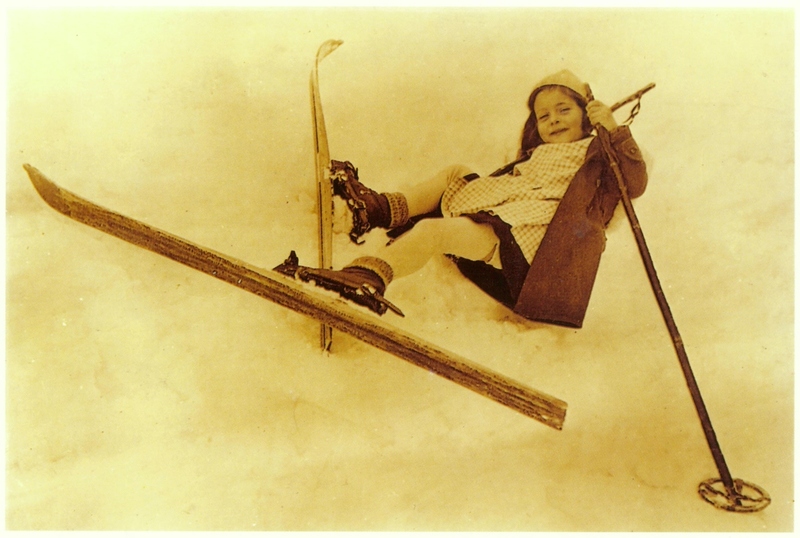 In the top photo they do at least seem to be wearing vaguely appropriate skiwear, unlike the poor young girl below who’s wearing a dress and thick tights, and no gloves – she must have been freezing!